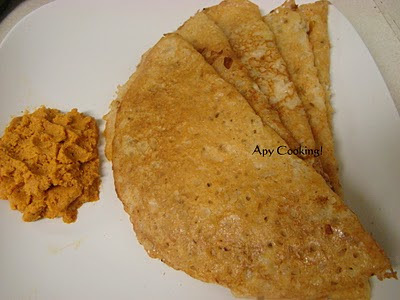 This is a simple and easy instant dosa recipe from aayisrecipes.com which I have tried several times. 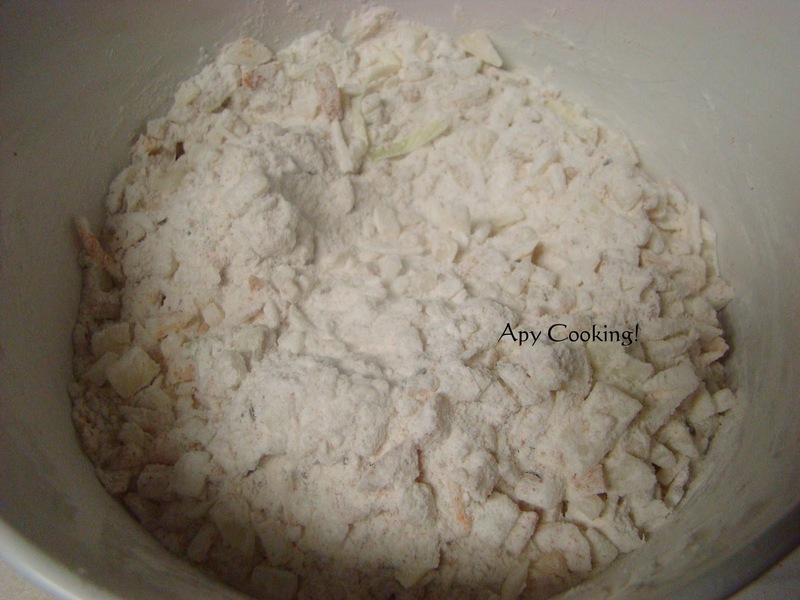 In a large bowl, mix rice flour, rava, jeera, chilli powder and finely chopped onion. Add salt [I added approx 1 1/4 tsp]. 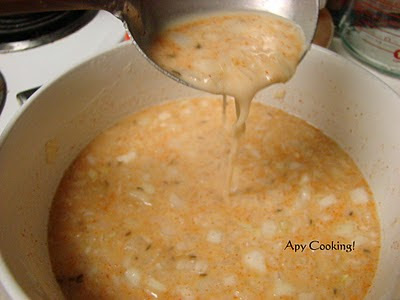 Add enough water [I added approx 2 cups] and mix thoroughly to get a thin dosa batter. Heat a flat non-stick pan. Sprinkle oil and spread it across with a spatula. When the oil is sufficiently hot [you can check by adding just one drop of water - if it sizzles, oil is hot enough], pour a ladleful of batter onto the tawa and let it spread across. You can lift the tawa and move it around so that it spreads more. Cover and cook for a few minutes. Uncover and carefully flip the dosa. Cook for another few minutes. We like this crispy dosa best with loshne (garlic) chutney, but if you don't have time to make that, you can have it with tomato ketchup (mixed with some hot chilli sauce). This goes to Anyone can cook and Kids Lunch Box Treats. yum! i really love this ! Hey Apy! The dosa is jumping at me to be gobbled down whole! 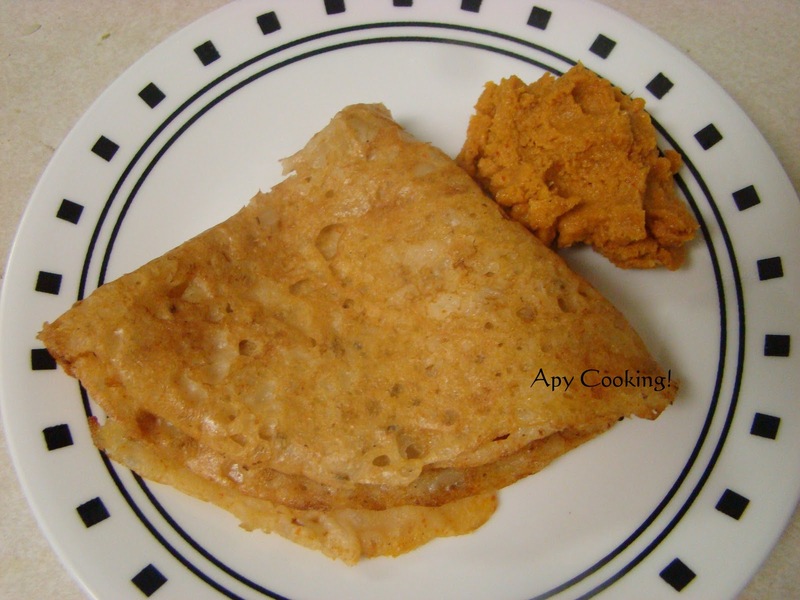 Rice fouur dosa looks so crispy and tasty. Very nice pics. 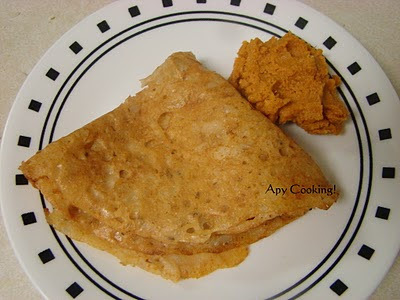 crispy and tempting dosa dear.... love your presentation.. The dosa looks lovely...and very healthy quickie too! 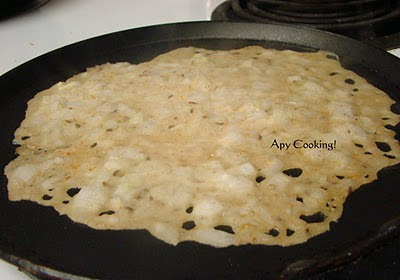 Crispy and yummy dosa, looks awesome..
Wow! Looks so yummy, thank you for linking it with Any One Can Cook. That has come out crispy....the dish with chutney is tempting....thx dear. Looks delicious. similar to rava dosa. i bet it would haven heavenly and super crispy! i cdnt completely trust the rice flour which we get here so i added a pinch of soda-bicarb .It came out crispy and yummy .i had no time for chutney so had with chilly-garlic sauce .